Now "AAP Professional"; THE PREMIUM Tank & Pond Disease Medications & Conditioners. FRESH Product! Including Spectrogram, Naladin, Wound Control & More. 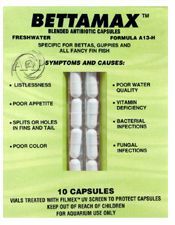 For the widest spectrum of fish diseases anywhere! Including parasite, fungal, bacterial, fin rot, etc. "AAP Professional Aquarium Treatments" previously Aquatronics, was from a company that had been the premier manufacturer of aquarium treatments going back to the 1970s. 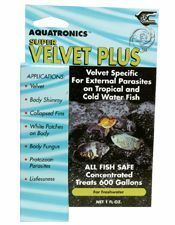 Our founder was made aware of this great line of products when working as the aquarium room manager for a small chain of pet stores that operated in strip malls and a major mall. 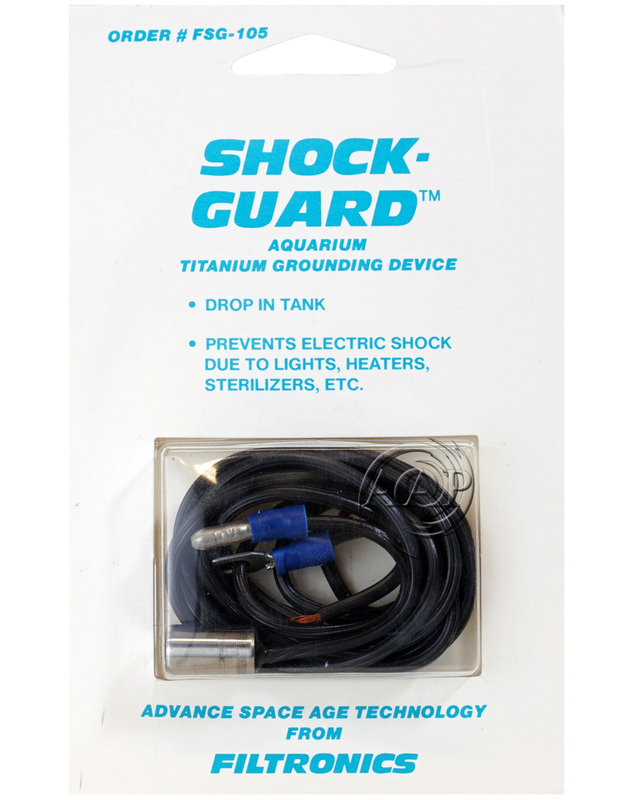 He later started his aquarium maintenance business and as Aquatronics expanded, so did his use as he found NO OTHER comparable products in quality and effectiveness. 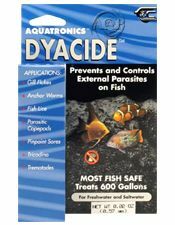 Unfortunately Aquatronics disappeared in the early 2000s leaving a major hole in the world of aquarium treatments that some filled, but not all (such as Wound Control, Spectrogram, Marex, Res-Q, Eye Fungex, & Naladixic Acid). 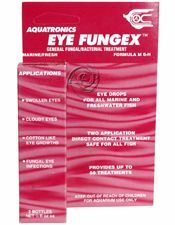 AAP is now attempting to bring this EXCLUSIVE product line back (a little at a time) and asks your support to keep it available by making your purchases through American Aquarium Products. We now have an exclusive agreement to bring these products back as FRESH product, and have purchased with options in bulk to keep the prices as low as possible (especially with Spectrogram, which would otherwise cost nearly double). We also do not use fancy packing, rather photocopied directions after re-packing the bulk treatments to keep prices down further for the best medications that are pharmaceutical grade too. Purchasing clearance product elsewhere with likely outdated product will likely make this attempt to bring back this product line fail permanently. So please support AAP (American Aquarium Products) with your purchase for all we have done for the aquarium keeping hobby over the decades with our most in depth/researched articles (yet FREE to everyone), along with the many hours we spend helping others in forums & Facebook. •	AAP Wound Control/Merbromin is a swab or paint-on disinfectant with PVP emulsifier for: wounds, scrapes, and abrasions as well as opportunistic bacterial infections that often result from these problems. A scrape against rocks or a bite on the scales can result in a serious infection. The simple process of catching the fish and painting the affected area will often prevent more serious problems or aid in an in tank or hospital tank treatment with antibiotics for more serious infections. •	As well, a direct swab of Merbromin has been very helpful from my experience for Columnaris external lesions of all kinds, except for those within the gills. The effectiveness of Merbromin lies in the fact Merbromin is an organomercuric disodium salt compound and a fluorescein that is effective on external infections because of its permanence, and lethality to bacteria, IN PARTICULAR COLUMNARIS! 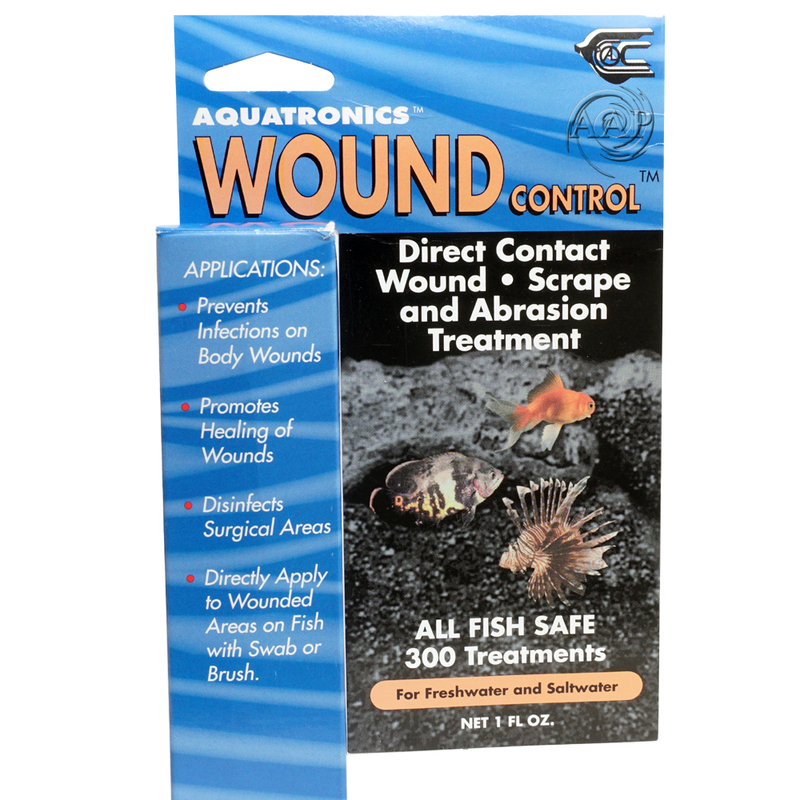 •	Wound Control should also be used after any operation such as extraction of visible parasites. •	USE: Net the fish. Gently use the net or hand to hold the fish in place (applying Res-Q, StressGuard or similar to your hand or net prior to application may be helpful). Apply Wound Control through the net or use a cotton swab to apply directly on the area. 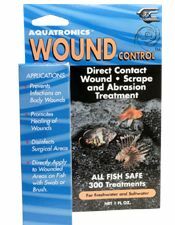 Place the fish in a hospital tank or quarantine box if possible & treat in tank if needed (Consider following the application of Wound Control with a Medicated Fish bath too). In a calm protected area the fish heal faster and less fish stress will occur when catching the fish. 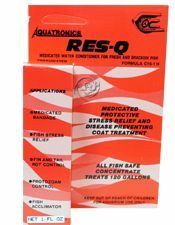 •	AAP Res-Q is the ultimate water conditioner when fish have frayed fins or have visible abuse. A most effective product with seven way action. RES-Q detoxifies and conditions water by polymeric complexing (bonding) of metallic ions. Coats the fish with a slippery medicated bandage, balances osmotic processes, removes chlorine, clarifies water and aids in safe shipment of fish. Res-Q does not color the water. 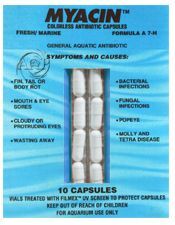 Used in lieu of other water conditioners if medication on the fish is indicated such as after injury or introduction of new fish. Great when used in conjunction of a Medicated Wonder Shell. 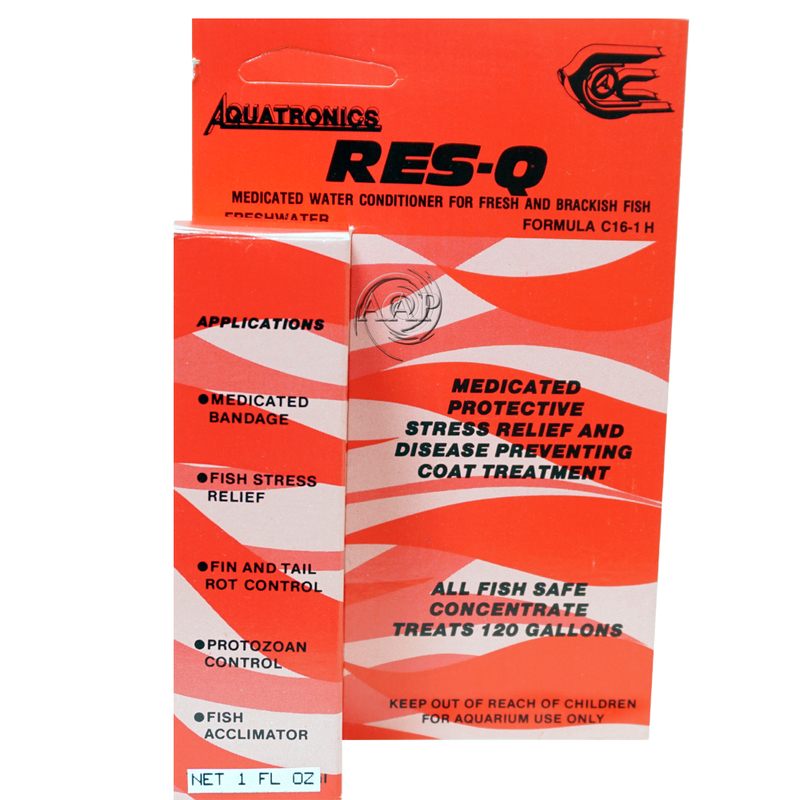 * As per AAPs founder who has used this product in 1000s of professional applications, Res-Q is excellent both as a first aid and a water conditioner of choice when minor injury is present. It can also be directly applied via new fish introduction, as well as netting or "cupping" the fish. In our founders controlled test, the use of Res-Q improved the results of Super Ich Plus and sped healing of minor fin & body damage as compared to Stress Coat which had zero effect. •	USE: One teaspoon treats 20 gallons for full tank treatment. For injured or sick fish, suggested use is first netting fish and bringing the fish near the surface, but not out of the water, then using a syringe, eye dropper, or similar to squirt the fish directly with AAP Res-Q. •	AAP Super Velvet Plus is the non anti-biotic treatment of choice for VELVET infections. This formula is a concentrated mixture of Acriflavin and Sodium Chloride. Their combined actions aid to combat this infection in an effective manner. Also often effective for fungal/saprolegnia infections, especially when combined with Malachite Green formulations (the Malachite Green formulations such as AAP Super Ich Plus, AAP Greenex, or ParaGuard should be used at half dose when combined). 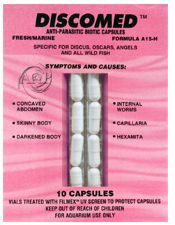 All fish safe and will not harm the biological bed when used as directed. •	USE: Every other day for 3 days at 1 drop per net gallon. Repeat treatment in 3 days if necessary. Remove carbon or similar filtration (such as Purigen or Bio-Chem Zorb) prior to use. 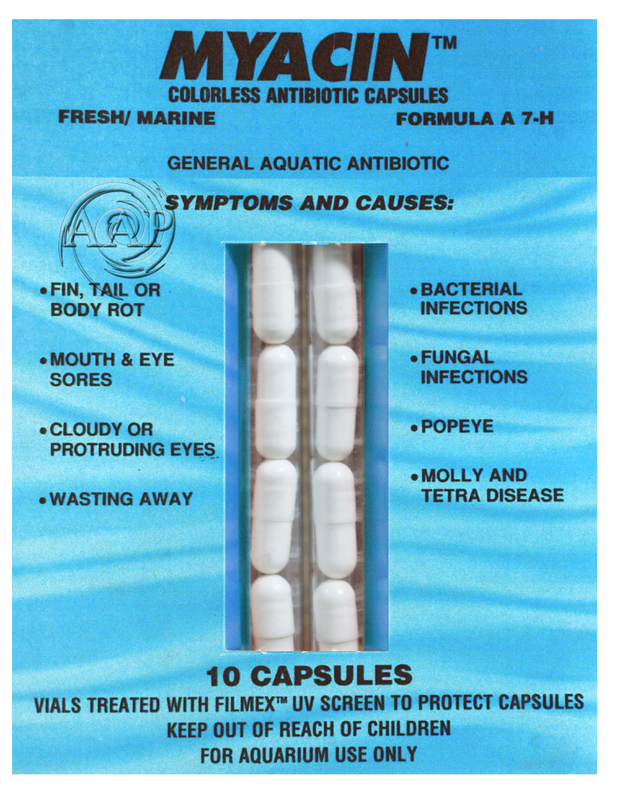 Can be used at half dose when combined with a Medicated Wonder Shell (use of a Medicated Wonder Shell is recommended at least as a follow up treatment after completion of Super Velvet Plus treatment). •	AAP MethyBlu is a more concentrated (5% unlike other Methylene Blue formulations at under 2.5%) useful treatment in hospital tanks. As a bath it does not need to be doubled unlike Kordon's and other versions of Methylene Blue to treat fungal (including egg fungus), bacterial, and parasite infections. 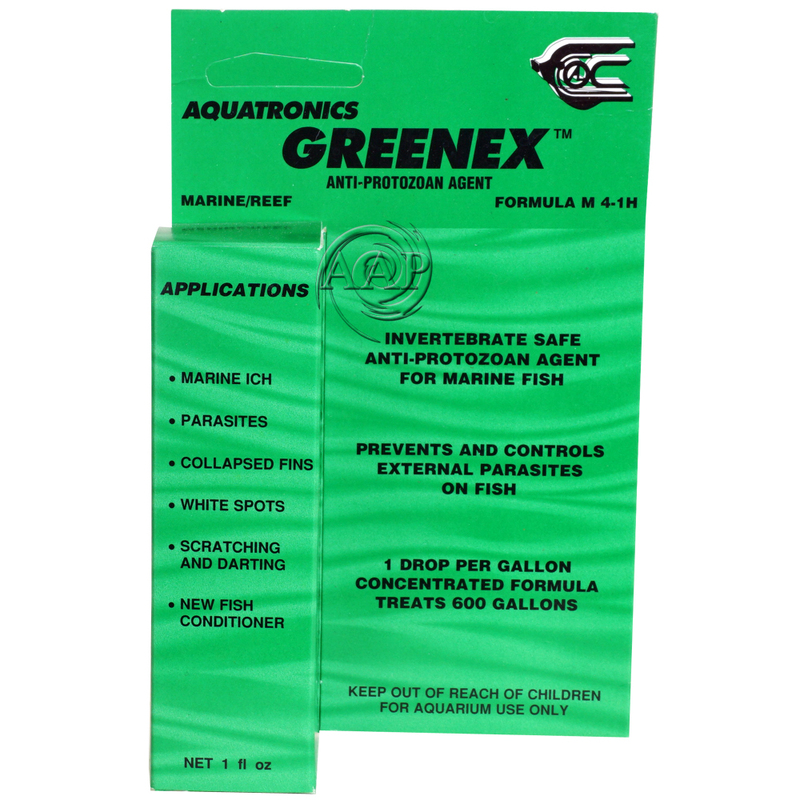 •	Also useful as a bath for ammonia poisoning. .
•	Can be used for transportation (shipping) of fish as it prevents disease spread and is a hemoglobin transfer agent allowing more oxygen in crowded environments. All fish safe, but care should be used when used in the main display aquarium, as over use can destroy biological filter beds. 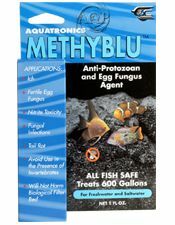 To prepare a 30 minute Methylene Blue bath; We recommend two drops per gallon or use 1/2 teaspoon of this 5% solution per 5 gallons in a bath of aquarium water from the tank the fish you wish to treat came from. We suggest using about a ½ gallon of water, however you may use less. 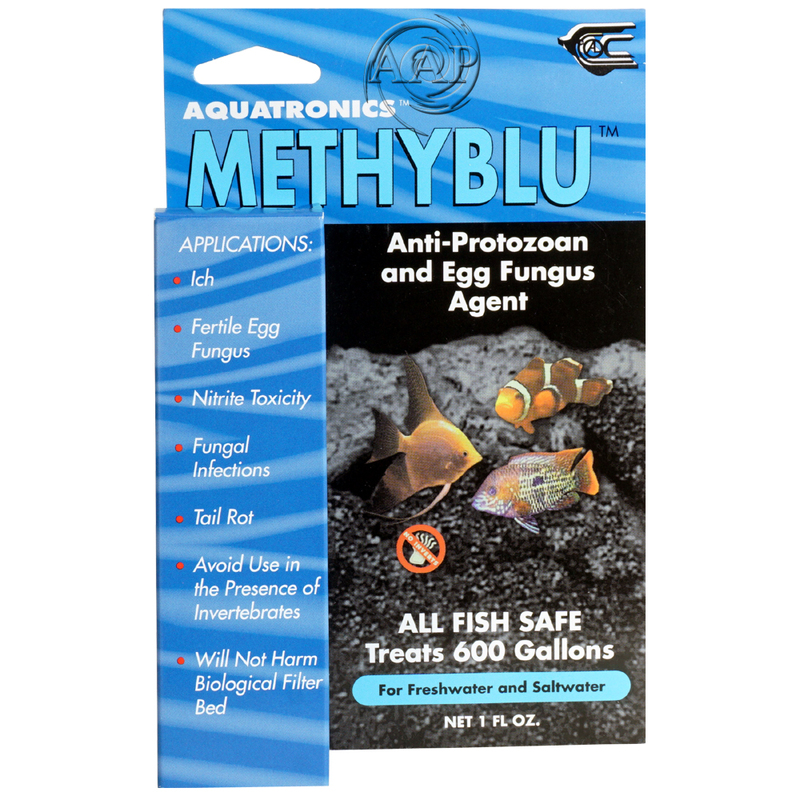 Measurement of the Methylene Blue does not need to be precise (although do not intentionally overdose more than double recommended dose, and even then this should only be used at double strength in fish baths of 30 minutes). Make sure you keep the water in a warm area, as in a cold room the water temperature can drop rapidly which would stress the fish. Do NOT pour this water back into your display aquarium when finished. This can be performed up to twice per day. 10 Capsules, treats 100 gallons. •	USE: Open capsule and introduce powder directly into tank. 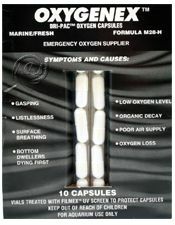 Use 1 capsule to each 10 NET gallons of aquarium water. After 24 hours a partial water change (1/3 of the water) is suggested. One treatment is usually sufficient. Repeat treatment is not recommended. Provides up to 50 treatments. 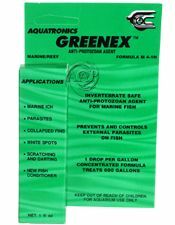 All fish safe TWO application direct treatment. •	USE: Open bottles 1 & 2. Remove fish from tank & leave in net or hold firmly. Carefully squeeze bottle 1 (clear silver nitrate) releasing 1-2 drops in eye Immediately squeeze bottle 2 releasing 3 drops on eye (to stop reaction of silver nitrate). One drop per gallon, treats up to 600 gallons. All saltwater and FOWLER aquarium safe, including most crabs, starfish, lobsters & similar. Caution should be used with many anemones and coral. NOT safe with Cephlapods! •	USE: Shake well. Add 1 drop per NET gallon of water (include sump water if applicable). Use when receiving new fish or when disease occurs. 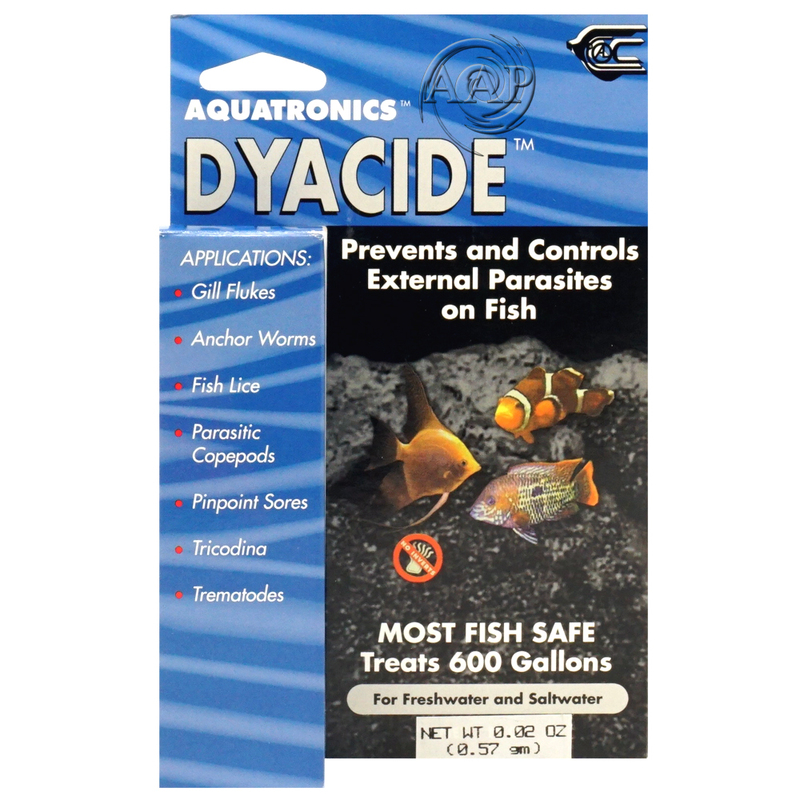 To control parasites on fish, treat every other day for 5 days (3 treatments are suggested). Repeat treatment in 3 days if parasites reappear. One drop per 2 gallons, treats up to 1200 gallons. 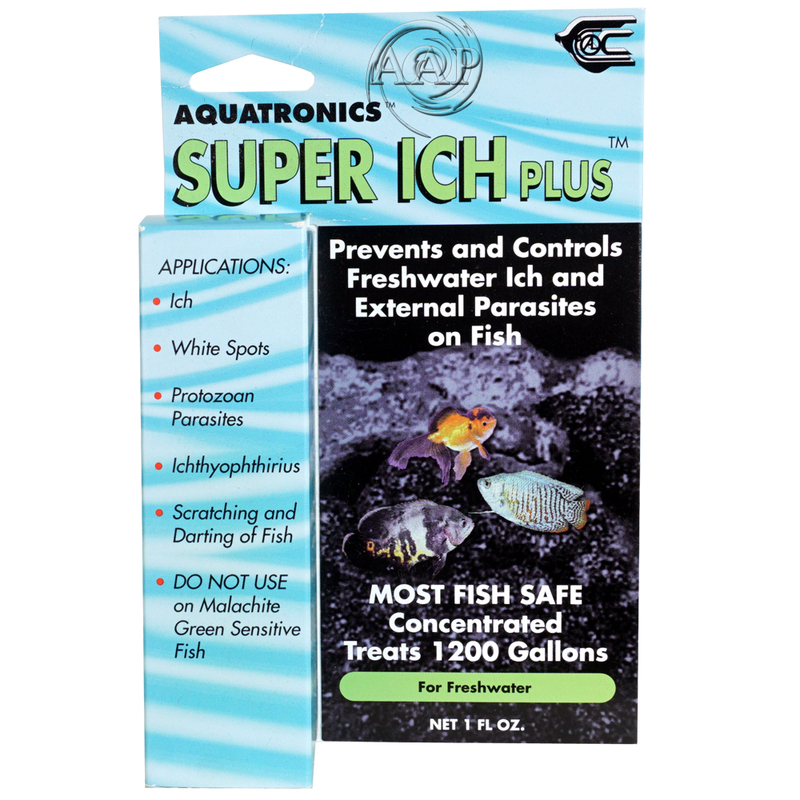 Safe for most freshwater fish, with sensitive fish such as Loaches or Cory cats (along with invertebrates such as snails), 1/2 dose recommended. 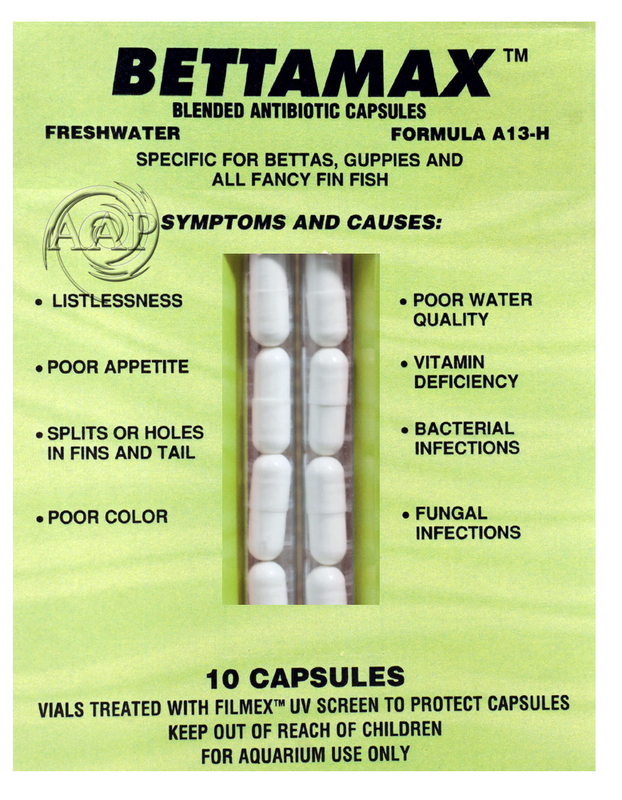 With sensitive fish, besides half dose the use of Triple Sulfa to buffer this product is suggested. As wtih any malachite green based product, maintaining an adequate GH & KH is STRONGLY recommended for both better results and higher safety margins. •	USE: Shake well. Add 2 drop per NET gallon of water (include sump water if applicable). Add 1 teaspoon to each 20 NET gallons, treats up to 120 gallons. * Shieldex has a specific use when setting up a new tank. Nitrifying bacteria enjoy clinging to the slime coat it produces. Success in cycling tanks has been achieved by squirting the liquid directly into the filter bed prior to adding water. 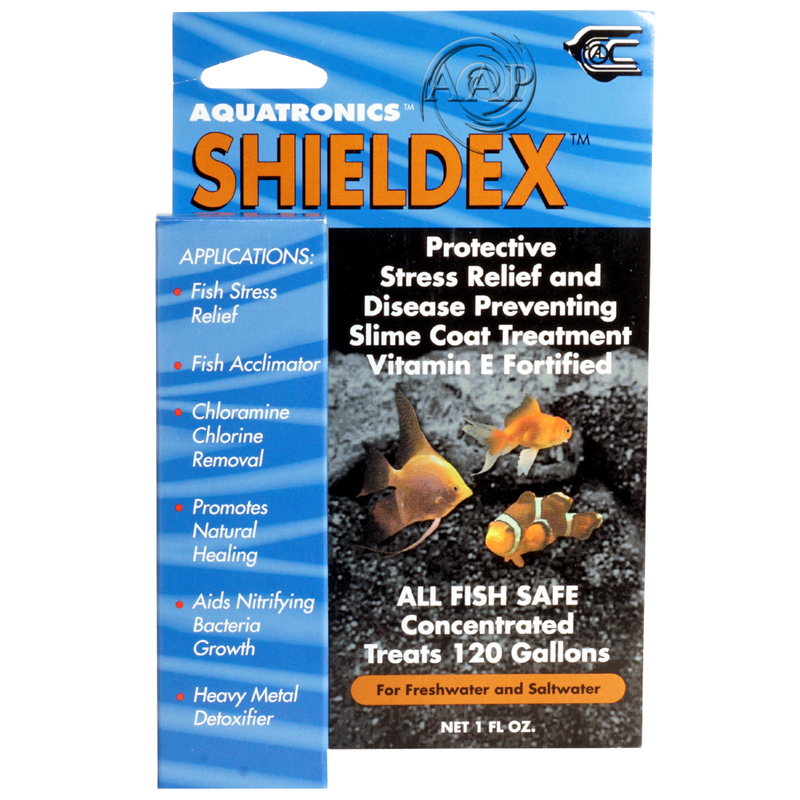 * Shieldex is one of the finest water conditioners to remove toxic elements and place a slime shield on fish. Compare quality/slipperiness and concentration with other products. 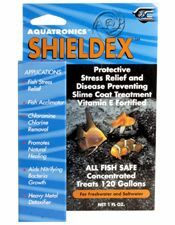 In fact as per AAPs founder who has used this product & similar products in large quantities in his 1000+ aquarium maintenance business, Shieldex is far superior to StressCoat. For one it allows for more natural slime generation and does not tend to "blob" on the bottom of the tank. Each capsule treats 10 NET gallons, treats up to 100 gallons. •	AAP Spectrogram is the widest spectrum, gram positive and negative medication treatment available in the industry. It is indicated for all persistent or undiagnosed conditions (other than parasitic infestations). Spectrogram is MUCH easier to use than the traditional Kanaplex/Furan 2 combination as there is no conflicting dosing schedules which also allows for this synergistic combination to work MUCH better since both antibiotics are required at THE SAME TIME for optimum results. Far superior to Maracyn II too. * The treatment of CHOICE for Columnaris!! More effective when already combined, as well as this product being pharmaceutical grade. Why settle for less for your Columnaris treatment or Aeromonas Treatment too? AS WELL, if Spectrogram is being used for Columnaris, it is extremely important to note that this is an extremely opportunistic infection, and to ignore the stressors that invite a Columnaris infection, is to invite failure, even with the best treatment. 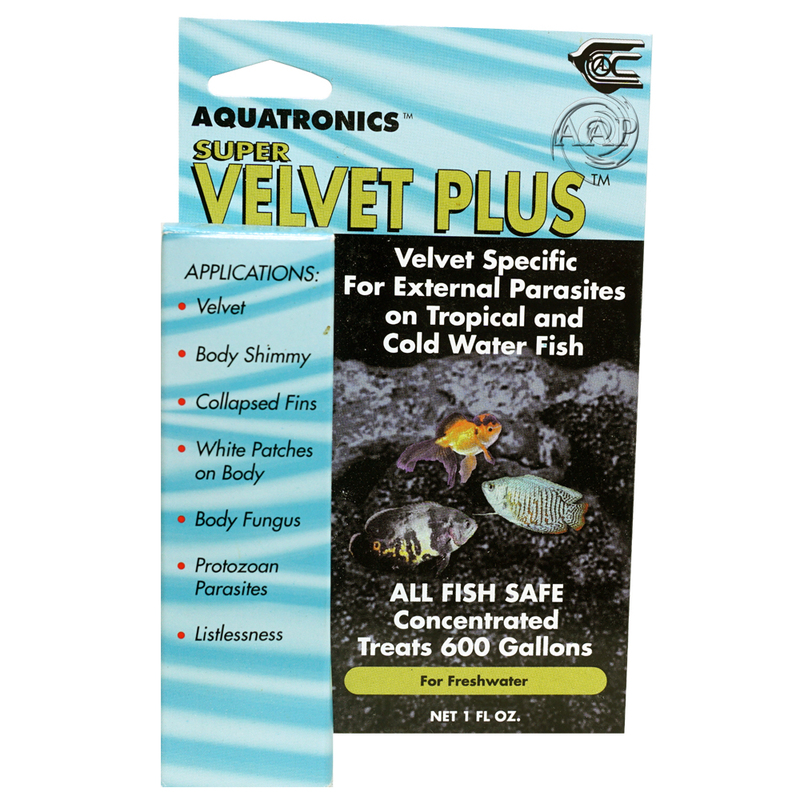 * For the Plecostomus white-spot and brackish water specific (e.g. Puffer Fish) syndromes, this product really delivers the wide spectrum clout. This Nitrofurazone & Kanamycin Sulfate combination may be overdosed safely. * Aeromonas bacterial infections, including fin & tail rot (AKA fin rot). * Can be combined with Metronidazole for a very safe and moderately effective treatment for multi-cell external parasites as well as Hydra while not harming snails. * AAP Spectrogram is the real “ace in the hole” for professional and hobbyist alike. •	USE: Add 1 capsule to each 10 NET gallons every other day. Minimum of THREE treatments suggested (a 2nd course of treatment MAY be used). 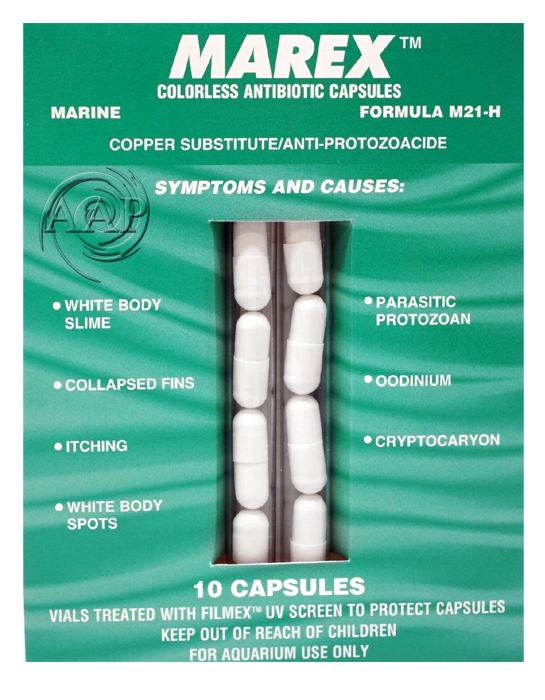 •	The Ingredient Nitrofurazone may be harmful to some invertebrate, such as shrimp and many reef inhabitants. Generally safe for snails at regular dose. •	USE: Add 1 capsule to each 10 NET gallons every other day. Treat every other day for 5 days (3 treatment dosings are suggested). Repeat treatment in 3 days if needed. Each capsule treats 5 NET gallons, treats up to 50 gallons. * Treats/Prevents Fraying Tail and Fins. * Treats/Prevents Mouth and Body Fungus. 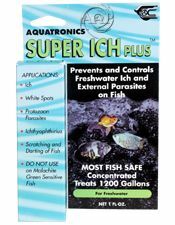 * Excellent alternative fish bath treatment as a replacement to Methylene Blue and other medications/ingredients. In fact this is the professional go to choice when more than Methylene Blue and salt are called for with ANY fish type. •	USE: Add 1 capsule to each 5 NET gallons every other day. Treat every other day for 5 days (3 treatment dosings are suggested). Repeat treatment in 3 weeks. 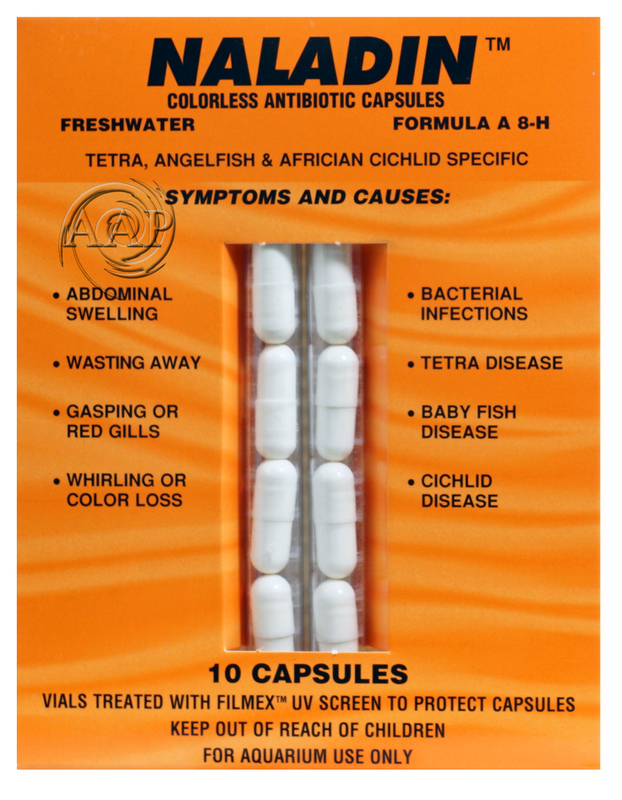 For use in Fish Baths, double dose of one capsule per 2.5 gallons per each 20-30 minute fish bath. •	The Ingredient Nitrofurazone may be harmful to some invertebrates, such as shrimp and many reef inhabitants. Generally safe for snails at regular dose. 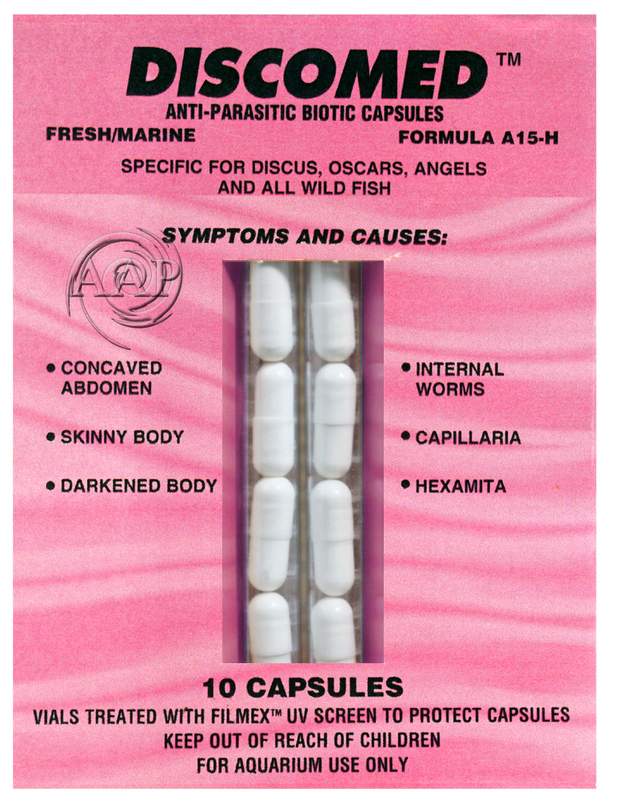 Ten 250 mg Capsules for fish food soak administration. 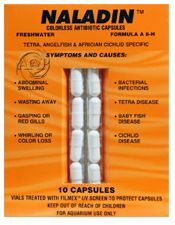 •	AAP Discomed is a unique anti-parasitic (internal & external) medication to use to make a medicated fish food for Freshwater and Marine aquariums. Specific Treatment for Cichlids suffering weight loss. 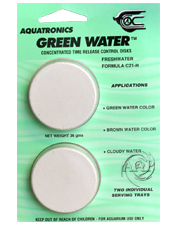 •	USE: Open capsule and introduce powder directly into a container with 2 ounces of aquarium water. For live foods; soak a double feeding portion of: tubifex, blood worms or other larvae in liquid until live food begin to die or for 1 hour. Feed half of portion and refrigerate other half for second feeding (feed twice a day for 7 days). Larger batches can be made if desired and then refrigerated for future use. Procedure can be attempted with frozen tubifex or brine shrimp if preferred fish food. AAP Gamma Nutrashots Fish Foods are an excellent choice for using this product with. When feeding flake foods, mist liquid mixture directly on flake using a small clean sprayer. Allow flake to dry then feed as normal. 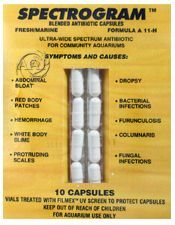 • Marex is a colorless antibiotic blend of Pyrimethamine and Chloroquine Phosphate. The first effective copper substitute treatment Marine/Saltwater Oodinium. 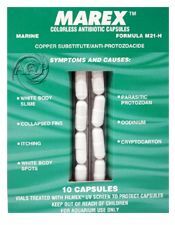 MAREX is a copper substitute and unlike copper, may be safely overdosed in difficult cases. As a preventive, treat aquarium when introducing new fish. 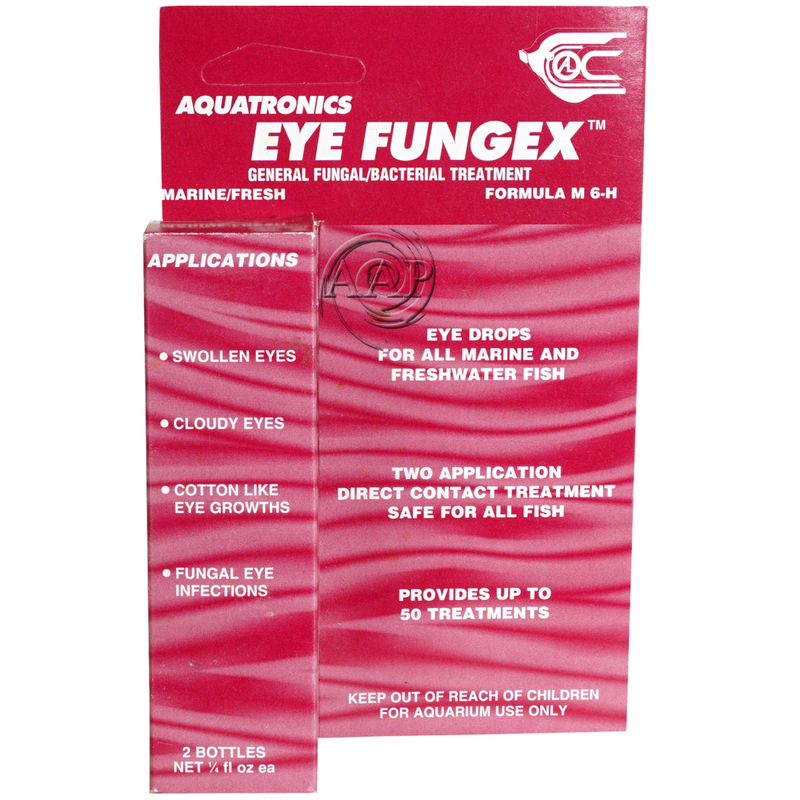 * Flukes or other ectoparasites in both marine and freshwater. Avoid use in the presence of invertebrates. Do not mix with products containing Copper, Ampicillin, Praziquantel, or Isoniazid. •	USE: A partial water change and/or temporary activated carbon use is recommended before and after each treatment. Continue filtration but remove carbon from filter during treatment. MAREX is light sensitive, reduce light during product use (including UV Sterilization). Treatment in a quarantine tank is suggested unless infection is shared by several fish. MAREX can be removed from aquarium water by adding carbon to the filter. * Monogenetic and Digenitic Trematodes. Do NOT use on chemically sensitive fish or silver fish such as Silver Dollars, Rays, Bala Sharks, Arowans, Tinfoil Barbs, Hemiodus, Piranha, and most scaleless fish. •	USE: Fill Bottle to the neck with tap water (or better RO or DI water). Replace cap and shake very well. Add ONE Drop per each NET gallon of aquarium water. Treat daily for 3 consecutive days. Repeat treatment in 3 days if necessary or if parasites on fish reappear. For best results, perform a partial water change before each treatment. Can be combined with AAP Spectrogram for very strong full spectrum anti bacterial, anti parasite treatment. This would be a superior new fish quarantine treatment over products such as General Cure. • AAP Oxygenex is a dual purpose product. First, it supplies oxygen to the water and second aids in ammonia poisoning situations. 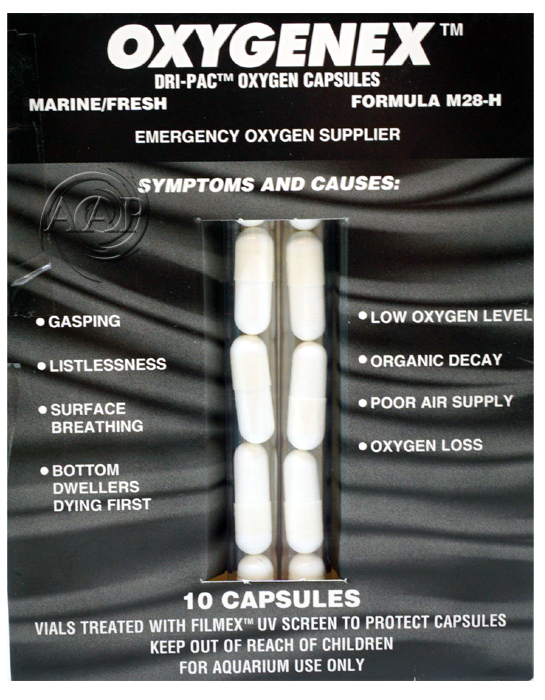 Colorless Freshwater and Marine emergency oxygen supply . * Oxygen Loss in Transfer. * Oxygen Starvation due to Organic Decay. * Oxygen Loss Due to Overuse of CO2. * Oxygen Loss Due to Power Failure. * Gasping & Surface Breathing. Excessive use of OXYGENEX can produce toxic reactions and severely/negatively impact Redox Balance. This product should be used in emergency. •	USE: Open capsule and introduce powder directly into tank. Each capsule will raise oxygen level of each 5 NET gallons of water (at pH of 8) by approximately 1.5 PPM. Do not repeat dose more than twice. 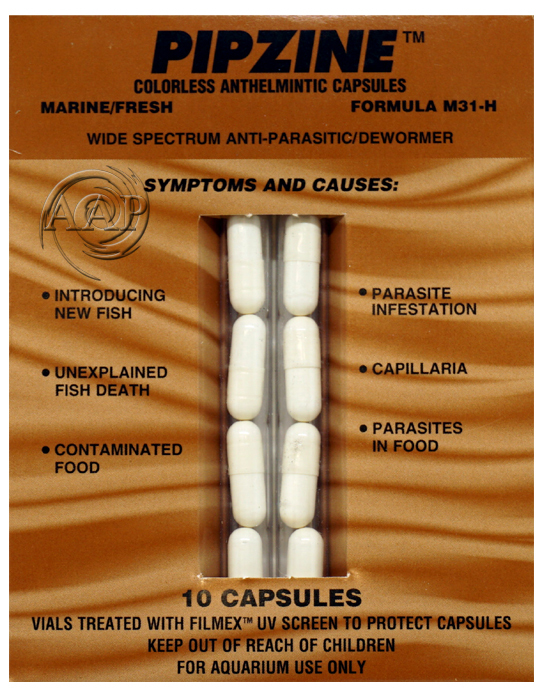 • Freshwater and Marine wide spectrum, anti-parasitic dewormer. Piperazine/Pipzine used as directed is safe in the community tank and will not affect biological filter beds. * Parasites in Food . •	USE: Open capsule and introduce powder directly into tank. 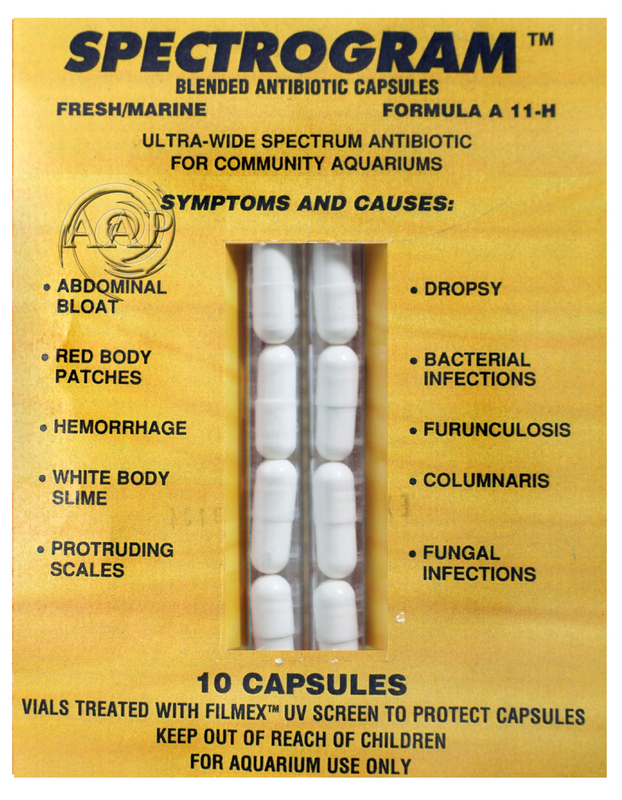 Use 1 capsule to each 10 NET gallons of aquarium water. Treat every other day for 5 days (3 treatments are suggested). Repeat full treatment in 3 days if necessary. 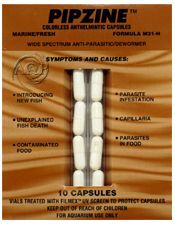 As a food additive for deworming; Add 1 capsule to 1.5 ounces of food, mix very well and feed. Excess food can be stored in refrigeration for 10 days. Each disk treats 25 NET gallons, treats up to 50 gallons. 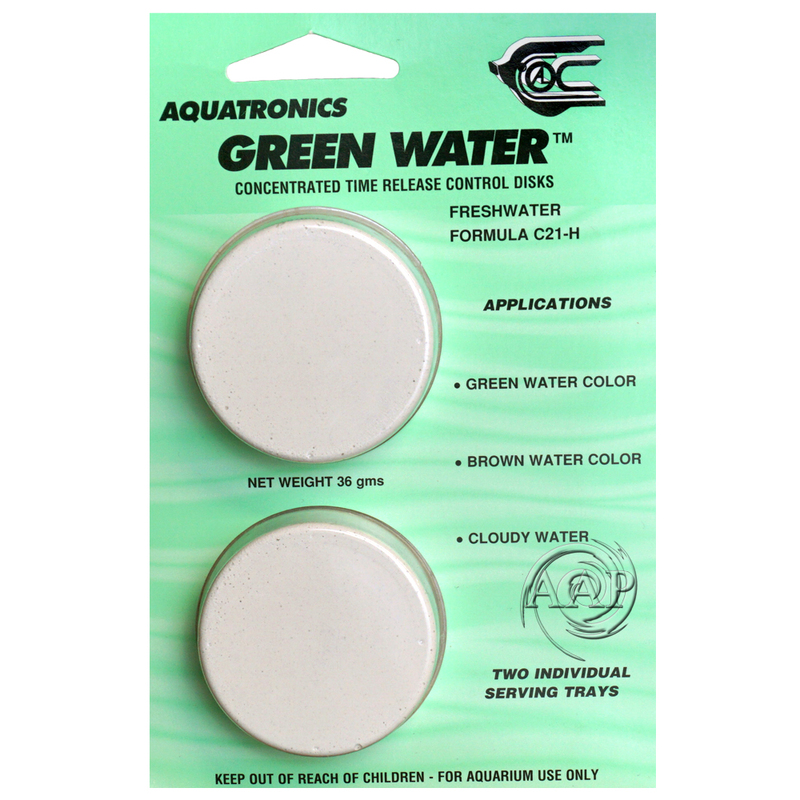 •	USE/INSTRUCTIONS: First, this product is meant to prevent these conditions, NOT to get rid of existing green/cloudy/brown water conditions. Instructions on packing suggest the use of Algae-A-Way, however our suggestion is that any method of removal is acceptable, including multiple water changes. Use one disk per 25 net gallons of aquarium water. Add new disk when old disk is reduced to 1/4 original size. Old Disk can be removed or left in aquarium. The Disk will dissolve slowly over a period of 1 to 2 weeks (depending upon demand/water conditions). NOTE: if fresh AAP Wonder Shells are used, reduce Wonder Shell to 1/2 the dose you would normally be using for your aquarium biotope. Do NOT combine with Medicated Wonder Shells. Snail and most invertebrate safe. Generally plant safe, but caution should be exercised with young plants or delicate specimens. 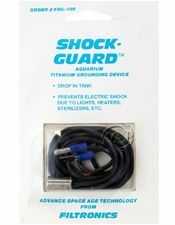 •	The AAP Shock Guard prevents electric shock due to lights, heaters, sterilizers, etc. NEXT; attach the 'U' clip to the central screw on any wall unit (this should be a grounded screw). Then connect the 'U' clip to the probe wire and tape this connection. Insert the 'Bullet" into the ground of the wall outlet (ground is the rounder lower inlet on a wall plate. The connect the bullet wire to the probe wire and tape connection. Make sure the ground is active (connected, many hardware stores devices to simply test this too). Attach the probe wire to the outside of a copper water pipe.